This weekend SPERRY is offering Buy 2 Select Sperry Styles for Only $119 w/ Code: PICKTWO at checkout. Super excited to grab this deal for my daughter and I!!! The Saltwater is more than an all-weather boot. It's stylish, sleek, and pairs well with just about anything (especially her favorite skinny jeans). A welcome addition to any shoe rack, this style will make your outfit and your day. 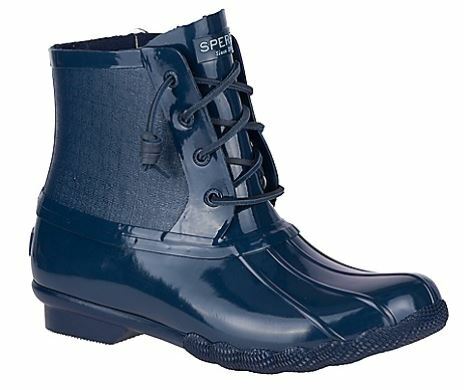 Drawing on over 80 years of classic Sperry quality and style, these boots are the silver lining on rainy days- and every day. Ends 11/11, select sizes going quickly.